If a lockout would have come into effect, it would have affected the church. But can a pastor refrain from preaching simply because it is prohibited by the union or the state? 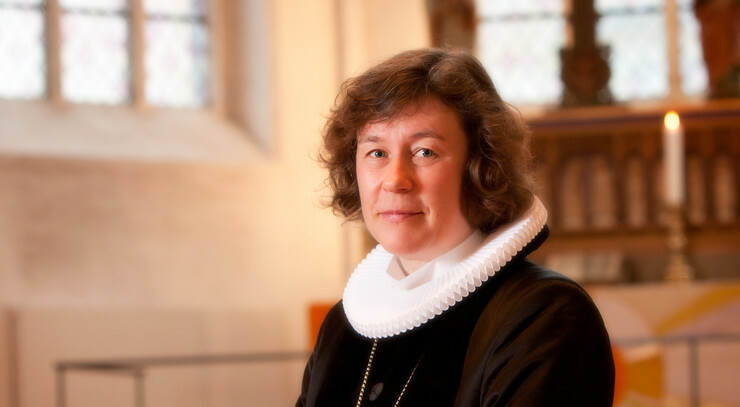 writes bishop Marianne Christiansen. Photo: Gitte Volsmann/Haderslev Stift. More than 400.000 municipal, regional and state employees were about to be sent home without pay – unless an agreement was reached between the labor unions and the state. As the clock was ticking, the state conciliation board had the difficult task of leading negotiations in this historic labor conflict. Higher wages and paid lunch breaks were some of the thorny issues. After the labor unions chose to send out a strike warning, representatives of the Danish state as well as regional and municipal employers threatened with a large-scale lockout. Only a few days before the ultimate deadline the parties involved reached a settlement, thus resolving the major labor conflict. This was a big relief, since many people had been worried about the consequences of a possible general strike. The lockout would also have affected the Evangelical-Lutheran Church in Denmark. Many employees in the church, such as organists, vergers and pastors would not have been allowed to work. Those employed as public servants would continue to work despite the lockout, but members of the pastor’s labor union and those employed on a group contract basis would not have been allowed to work throughout the lockout. If the lockout had come into effect, it would have meant that 44 pastors in the diocese of Elsinore alone and 400 church employees throughout the country would have faced a temporary denial of employment. Thus, confirmations, weddings, and possibly also funerals would have been affected by the national lockout - a unique situation never experienced before in the history of the church. “The conflict raises many principal questions: How can you not work and not serve other people when this is what you are called to do? Can a pastor refrain from preaching simply because it is prohibited by the union or the state? Is ELCD then a state church, since the state can lockout people who are employed by parish councils?” Christiansen says. “After the conflict we have to consider whether it causes us to think differently about the relationship between state and church or the terms of employment in ELCD,” Christiansen concludes.